Technical University of Munich is pleased to invite applicants to apply for a PhD position in political science. There is no application deadline for this position. as part of the joint DFG/FWW research project 'Making Europe through and for its research infrastructures.' Applicants should commence work as soon as possible but not later than 1 March 2019. The project will investigate several case studies over sixty years of integration across different disciplines, with empirical work being split between Munich and Vienna. The work of the Munich team will be centered on the European Space Agency (ESA) and Laserlab Europe (or a comparable project under the European Framework Programs). Applications for both the doctoral and post-doctoral position can be submitted for either case study focus (or a mix of both). You will be part of an international project team and contribute to the comparative analysis of European scientific integration across cases. The MCTS research group investigates the epistemic, social, and political foundations and dynamics of today's innovation-driven societies, both at the level public policy (e.g. national and regional innovation strategies, policy instruments, infrastructures, transitions) and concrete technologies (e.g. mobility, satellites, robotics, energy, neurotech). We are committed to a strong co-productionist approach that treats technoscientific and societal changes as essentially interrelated and co-evolving. Our interdisciplinary group brings together perspectives from science and technology studies (STS), public policy, management, anthropology, natural science and engineering to study the cultural, political, and economic dynamics that shape, and are being shaped by, innovation in the making. Among the questions that drive research in our group are: How do the practices of innovation differ across regions, sectors as well as political and organizational cultures? Which new innovation instruments are emerging? What is good innovation? How can we make science and innovation more responsive societal needs and concerns? How to govern science and innovation responsibly, sustainably, and inclusively? How do societies envision their future and express social values through projects of science, technology, and innovation? How do governments and institutions go about building scientific, technological or innovation capacity? How do science, technology, and innovation play out in inter- and transnational settings? ISPP is currently leading several national and international research projects, including "Regional Innovation Cultures" (DFG), "Cultivating Engagement" (EIT Food), "Technoscientific Constitutionalism" (DFG/NSF), "Innovating Food, Innovating Europe" (DFG), and the coordination of the EU-H2020 consortium SCALINGS ("Scaling Up Co-creation"). The is one of the largest STS centers in Europe. MCTS offers you an excellent, inspiring, and international research environment at one of Europe's eminent technical universities where you will find many opportunities and support to develop your academic profile. 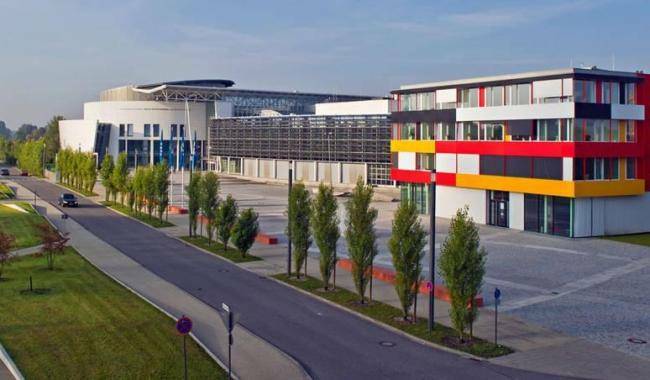 As the latest addition to TU Munich's vibrant academic and entrepreneurial community, MCTS is a trans-disciplinary STS center launched in 2015 as part of Excellence Initiative by the German Federal Government. MCTS' mission is premised on the insight that today's grand challenges are thoroughly sociotechnical in nature and that excellence in science and engineering requires coequal excellence in addressing associated questions in the social, political, legal, historical, and ethical domain. The MCTS community includes STS researchers from the social sciences, humanities, the natural sciences, engineering, and architecture, and is committed to multi-faceted forms of dialogue across both expert communities and various publics. All application materials should be sent to project PI, Prof. Sebastian Pfotenhauer, at , mentioning "METAFORIS" in the subject line. The deadline for application is Jan 3, 2019. Earlier applications will be considered immediately. Specific questions regarding the position should be addressed to the same address.